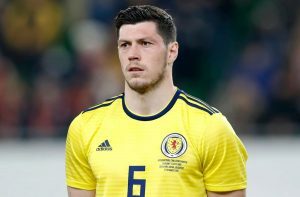 Why Ross Should Consider Bringing This Scottish Defender To Sunderland Next Summer? Reports from the Scottish Sun in January came out that Sunderland were set to miss out on the signing of Graeme Shinnie as Wigan Atheltic were close to agreeing a pre-contract deal with him which would have seen him move to the DW Stadium in the summer for free. However, no such deal went through, and the Aberdeen captain stayed put at Pittodrie. Therefore we think Sunderland could now have a chance to bring him to the club for free next summer. Jack Ross’ experience of working in the Scottish Premiership is helping Sunderland as he was able to bring in Lewis Morgan on loan from Celtic recently. The winger had previously played under Ross when he was the manager of St. Mirren. Shinnie would have also been a decent addition as the fullback could have been a useful attacking outlet down the left. The Black Cats are fighting to get back to the Championship and are currently placed well on course to secure one of the automatic promotion spots. There were even reports (Shields Gazette) that the Wearside outfit wanted to sell Bryan Oviedo last month, but the Costa Rican fullback stayed put at the Stadium of Light. Currently, the left back spot is being occupied by Oviedo or Reece James, so the manager has two decent options at his disposal. Therefore the signing of Shinnie might not really make sense as the Wearside outfit are well covered in the left-back department. However, Shinnie can turn out as a defensive midfielder and even as a left midfielder when required. 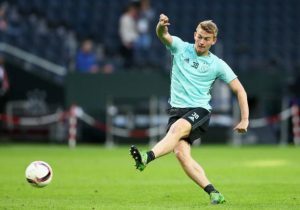 Along with that, the Scottish international is also a leader of his side and Ross could add a real utility player to his squad by signing him. If Oviedo ends up leaving in the summer; then the club would have an open slot for the Aberdeen captain in the left-back position. Shinnie has played most of the season so far as a defensive midfielder for the Dons and hasn’t looked out of place at all. He looks calm and composed on the ball and can carry the ball out from the back. Moreover, the 27-year-old showcases decent defensive abilities as well. We believe even Aberdeen would try everything in their means to keep him at Pittodrie, but the prospect of playing in England might attract the versatile player. Liverpool Receive Update In Pursuit Of This Serie B Prospect: Should The Reds Make A Move? Rangers Interested In A Summer Move For This Croatian Midfielder: Does Gerrard Really Need Him? 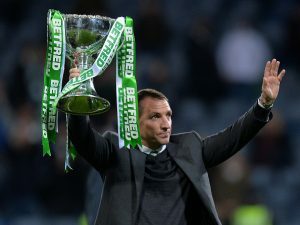 Rangers Interested In Signing 27 Year Old Midfielder: How Can He Fit Into Gerrard’s Plan? Swansea City Eyeing Up Move For Scottish Premiership Defensive Starlet: Good Fit For Potter?